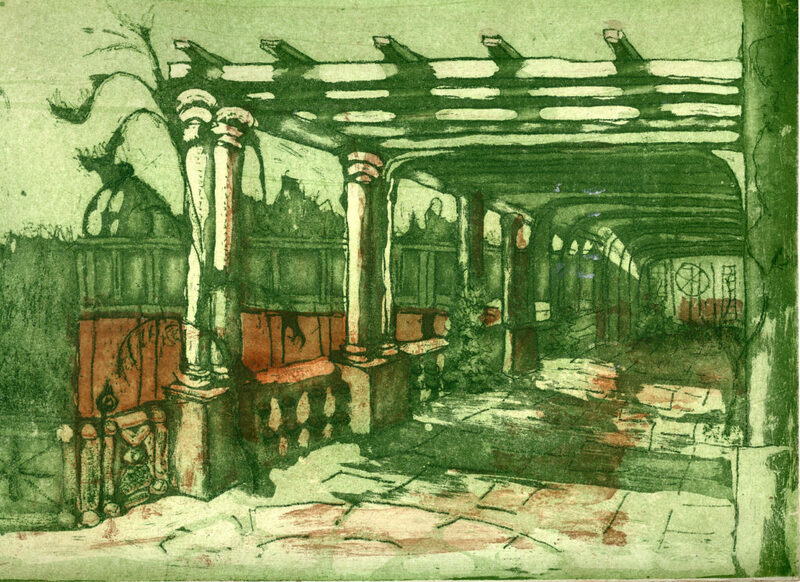 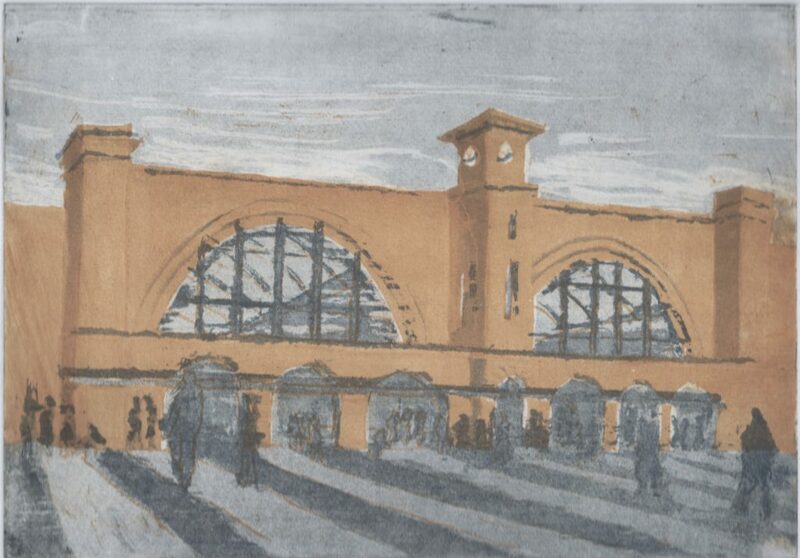 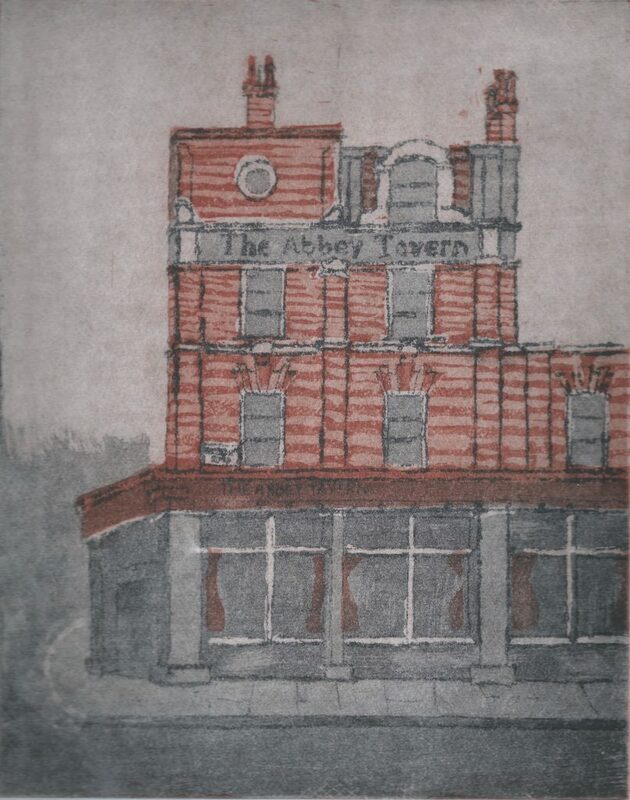 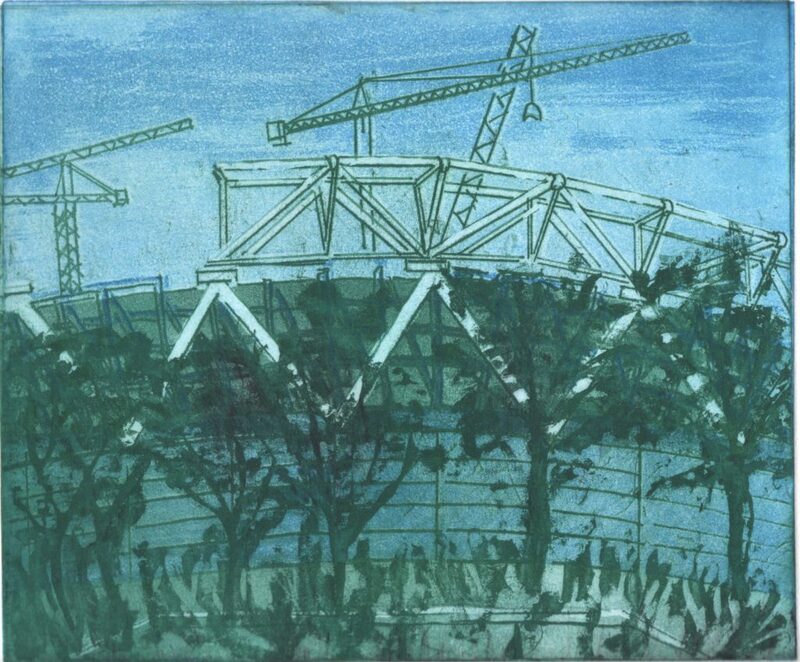 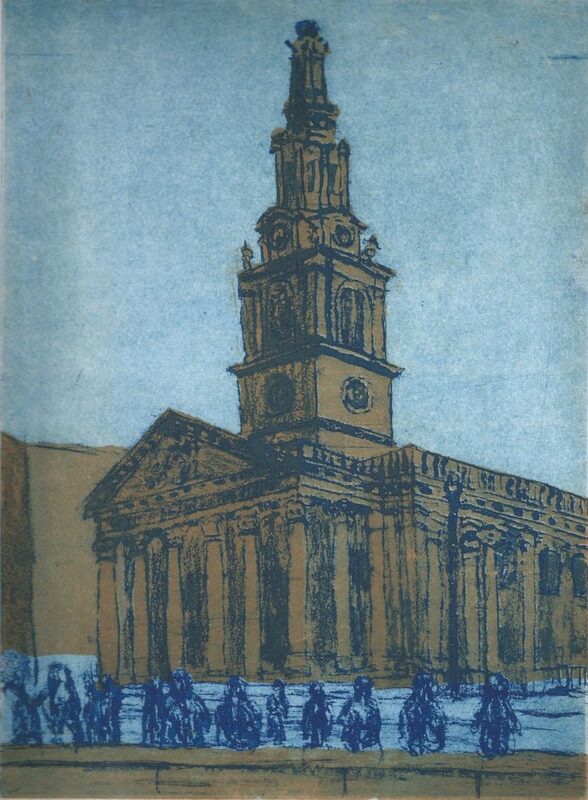 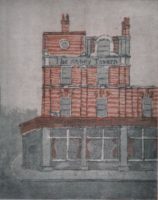 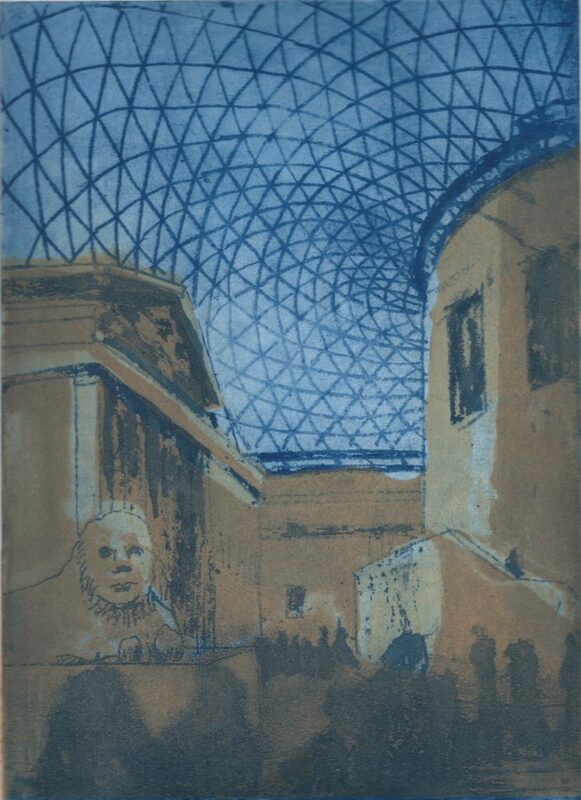 These colour prints were developed from drawings at a variety of sites in London. 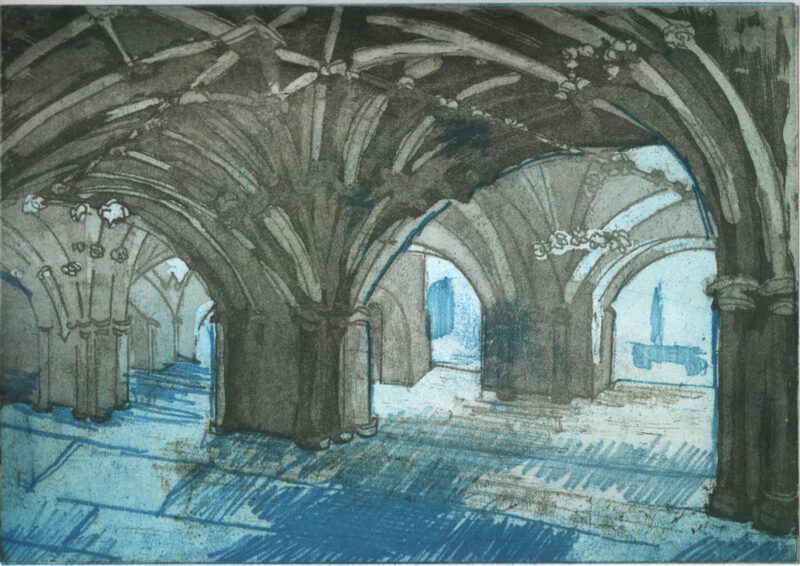 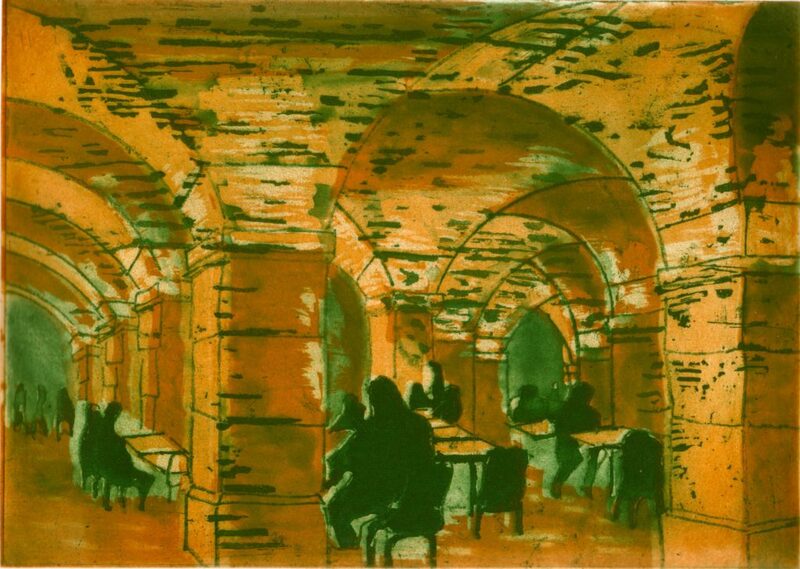 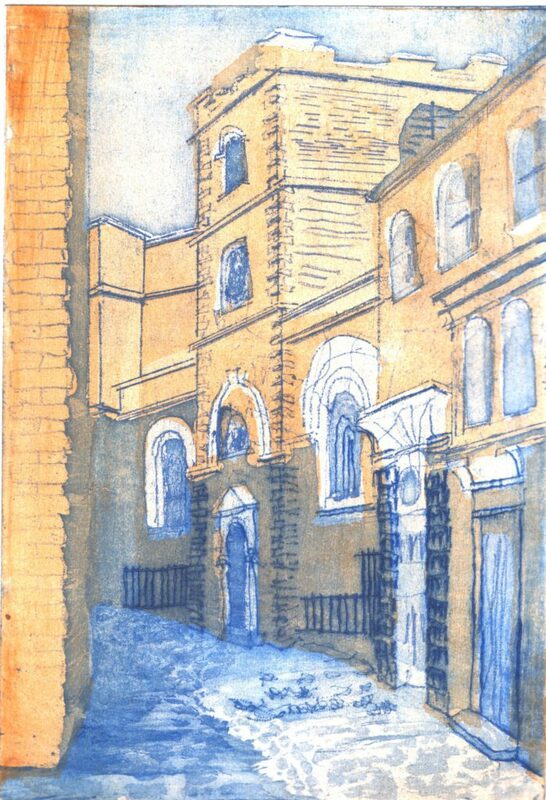 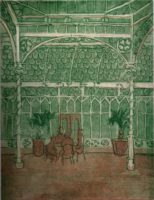 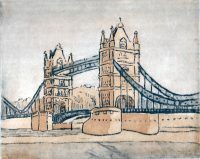 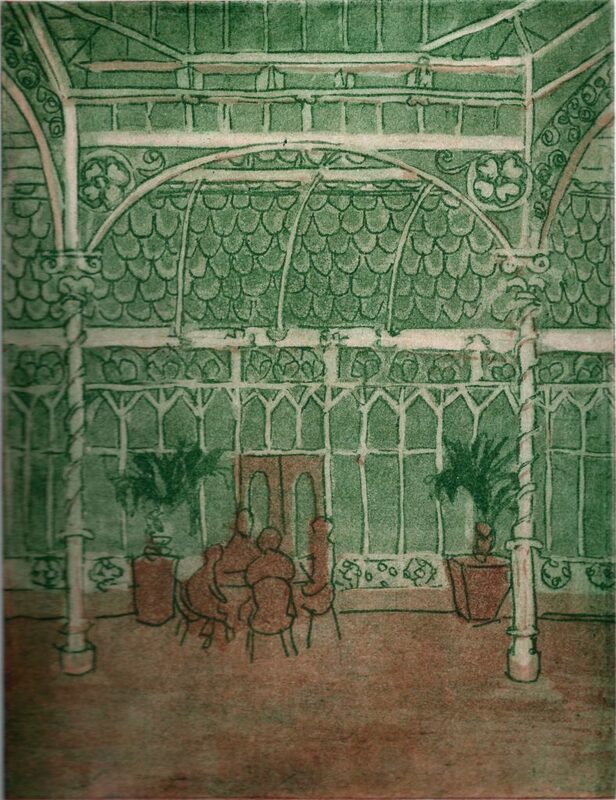 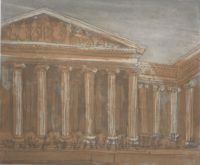 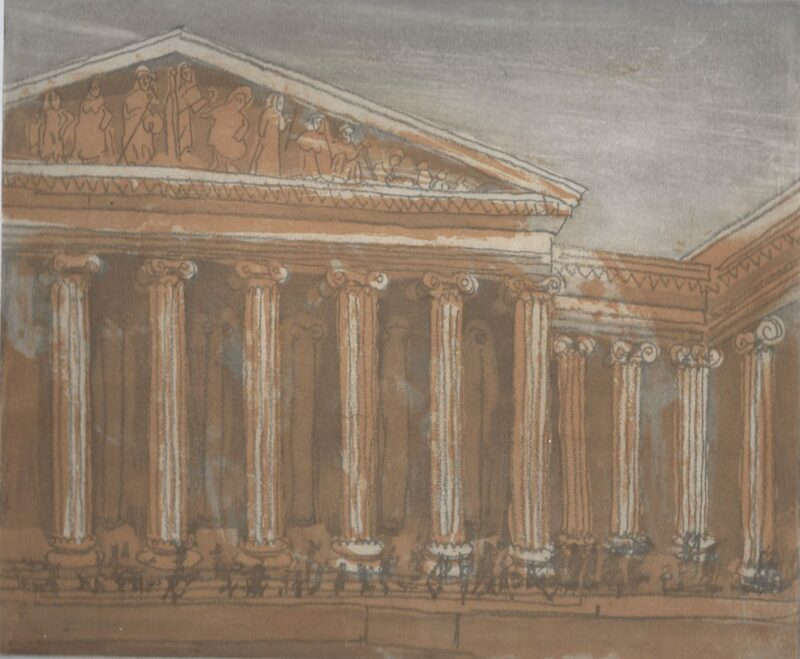 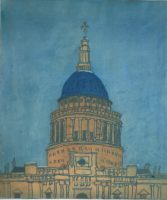 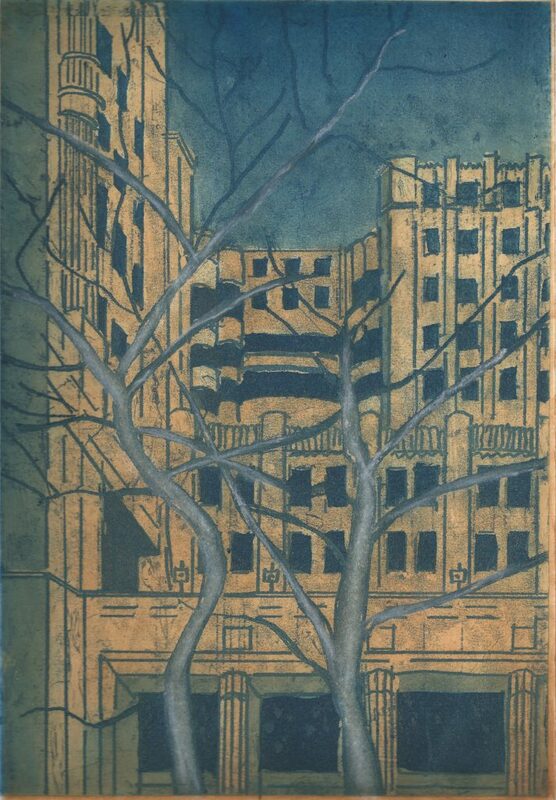 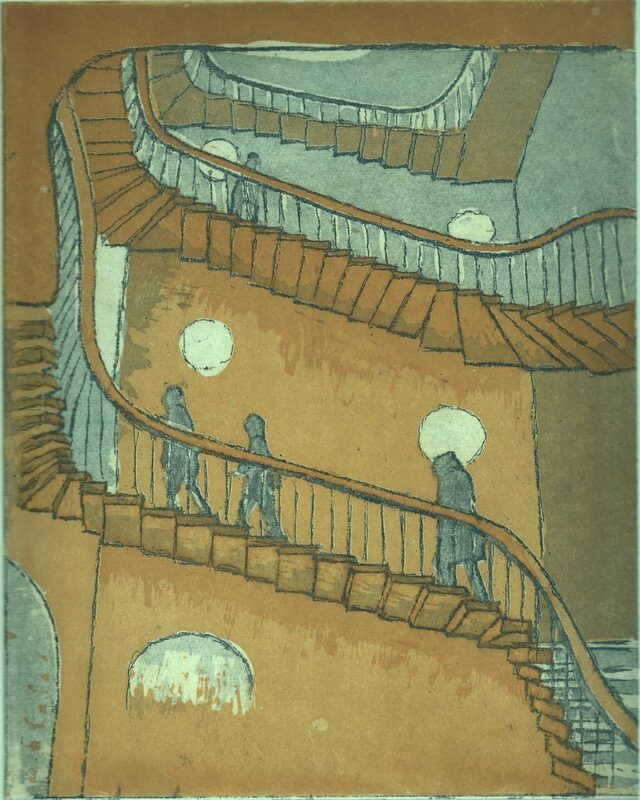 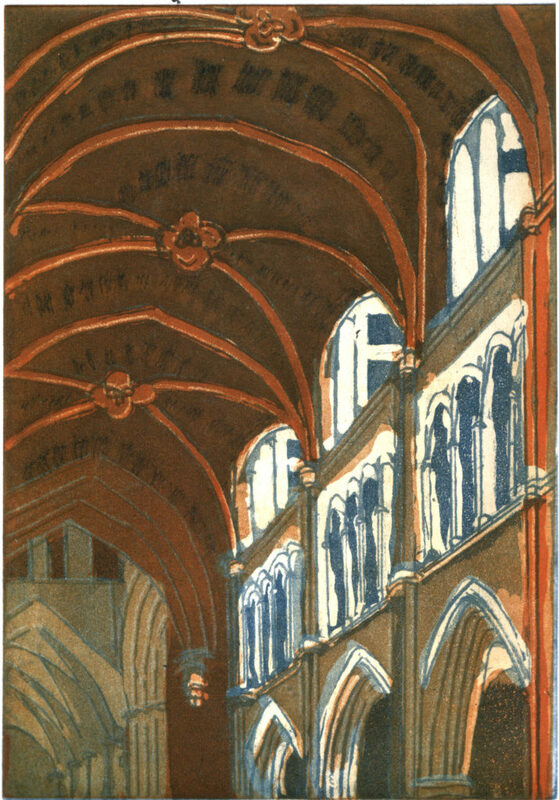 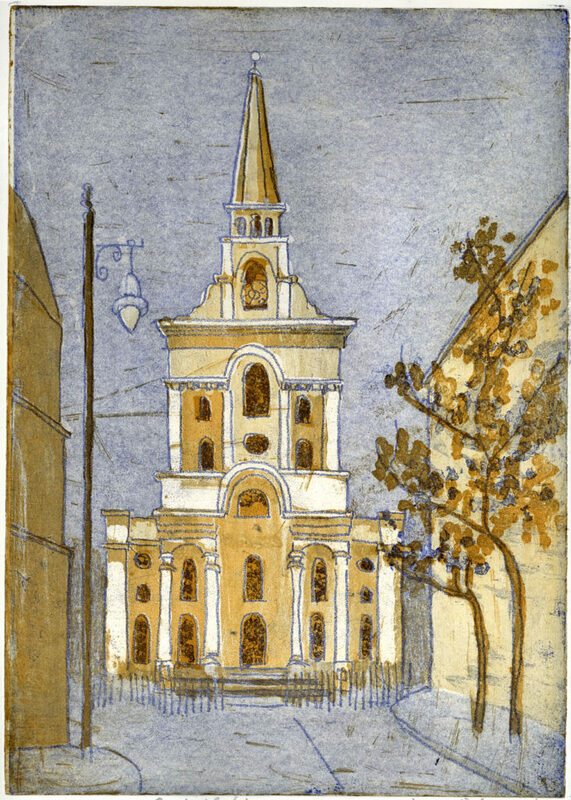 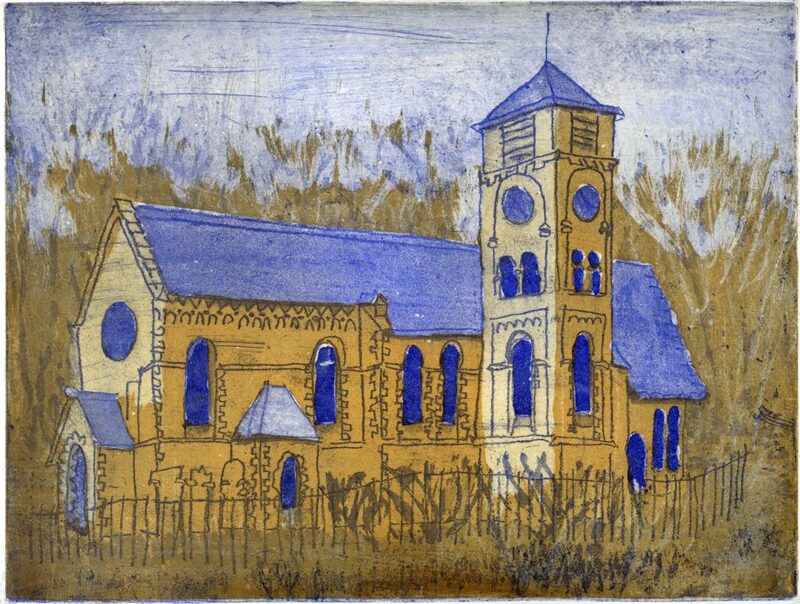 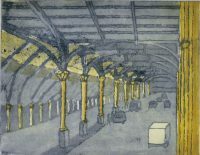 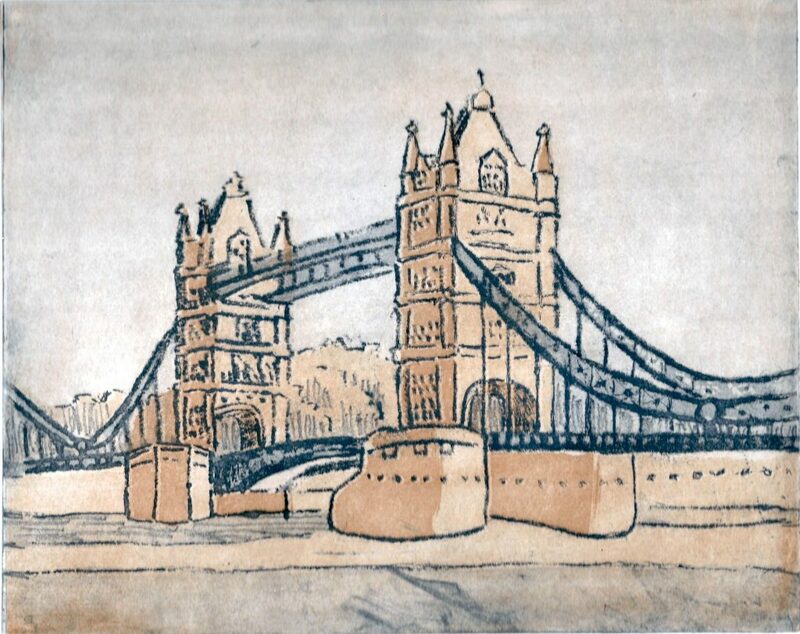 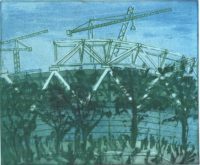 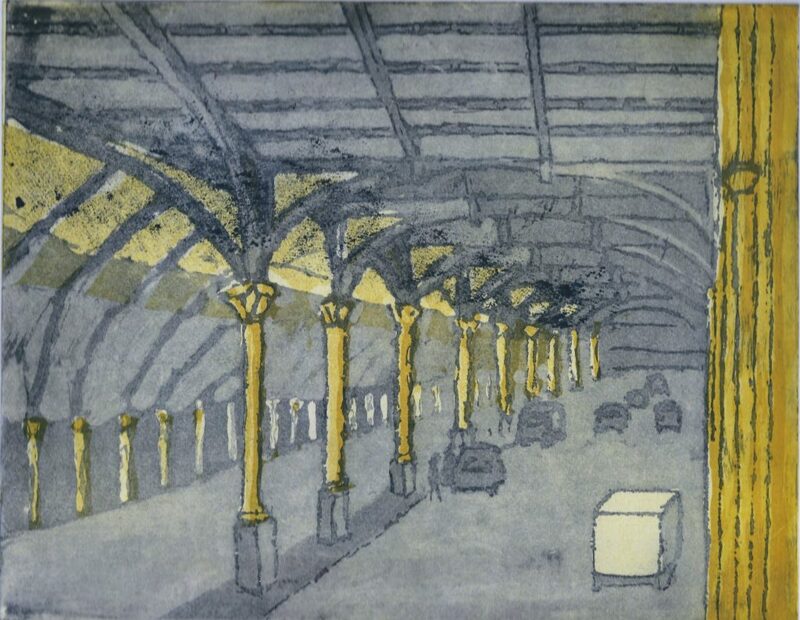 Many of them originated as sketches made on outings with Drawing London – a group that meets once a month to draw at different locations in London. 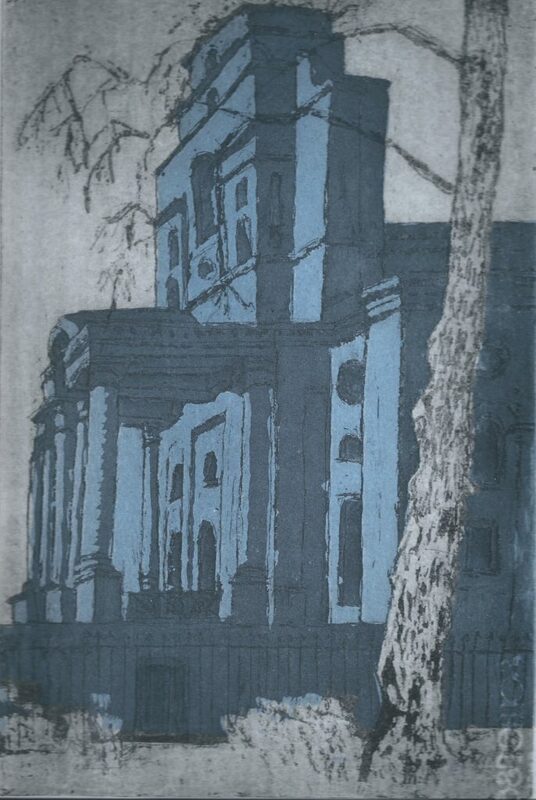 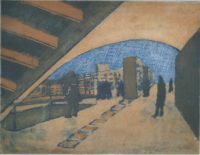 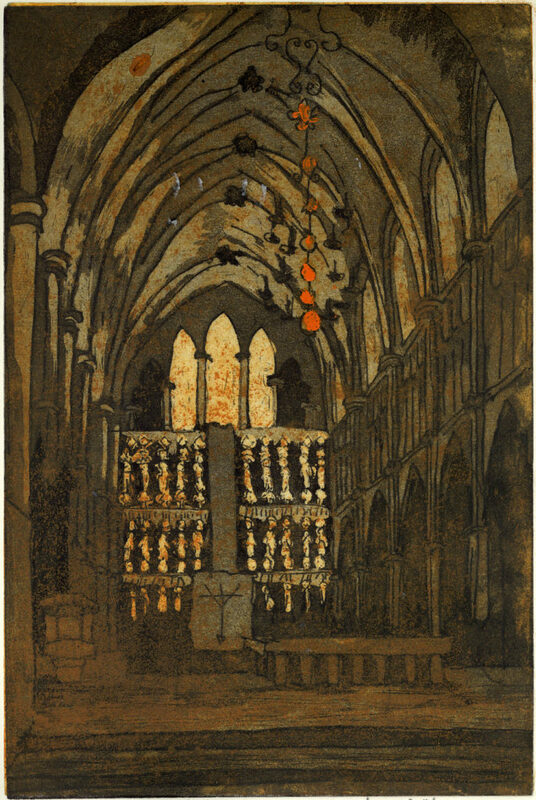 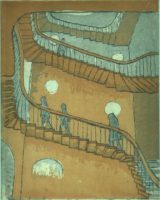 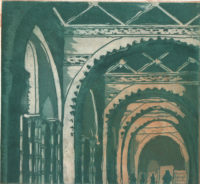 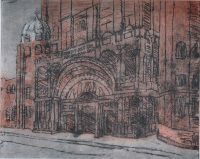 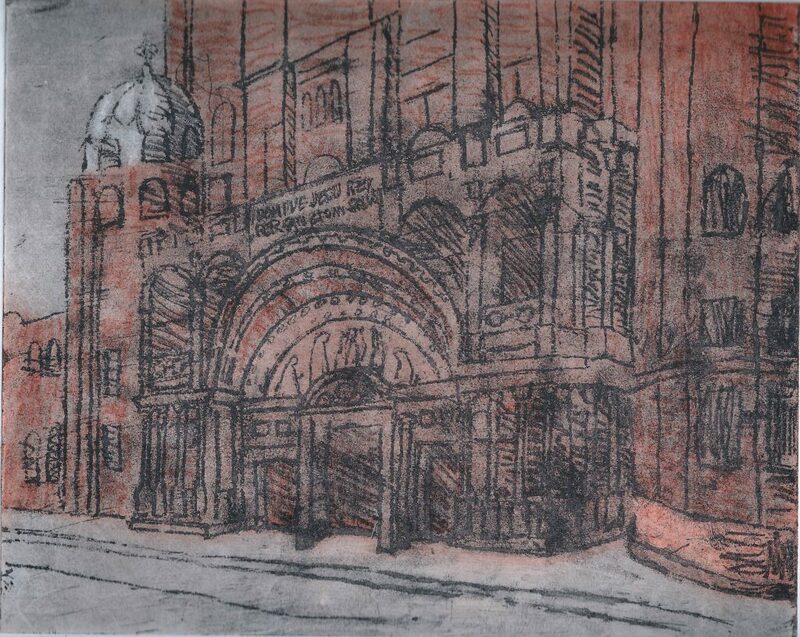 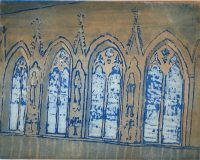 Each of the prints below is produced from two separate plates, by means of etching and aquatint. Each plate is inked up with a separate colour : the two colours can mix to provide a variety of different colours. 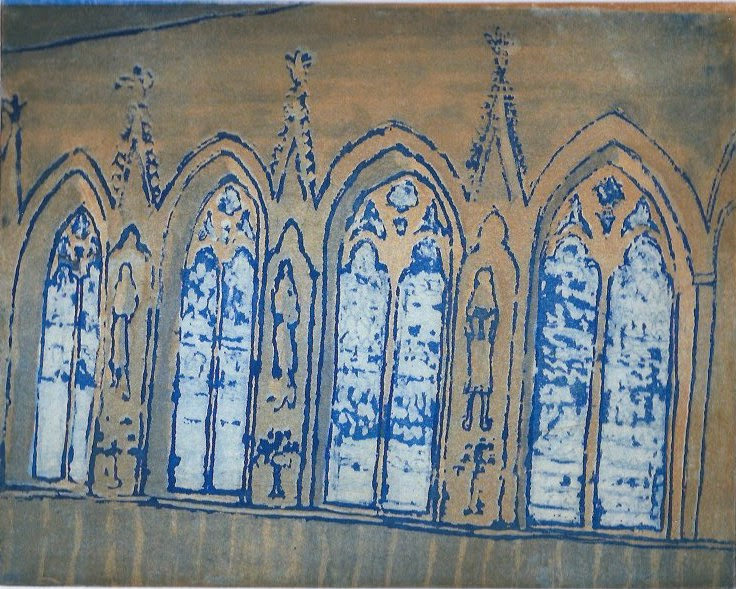 They are all approximately A4 in size.